A note must be sent to your child’s teacher indicating the date and time of pickup as well as the person, if different from yourself, who will make the pickup. Report to the front desk when you enter the School. Your child will be either waiting for you, if practicable, or he/she will be called to the front desk for you. a fingerprint-based check of the national and state criminal history databases. In Children's House (CH), a birthday walk is an opportunity for you to join your child in a celebration of her/his life! Share stories as your child walks around a glowing candle which represents the shining sun. Recall events from each year with photographs and anecdotes that bring to life your child’s journey through the world. Some families make posters with mounted pictures; others share small albums. Siblings, grandparents and other extended family members are invited to sit and watch your child delight in this joyful celebration. The birthday walk is generally between ten and fifteen minutes. You may provide a healthy snack for the entire class to make the event fun and nourishing for all. Coordinate all BFA events, including but not limited to social, fundraising, parent education programs, etc., with the School administration. To encourage members of the parent community to share ownership of our School by becoming an integral part of the on-going enrichment of the Montessori experience. Notices of the first meeting will be distributed to parents at the end of summer or early fall. Maintain open and positive communication with staff and families. In case of need to evacuate the school property – Please refer to the Health Care Policies. Please refer to the Health Care Policies. Bridgemail: At the end of each week, Bridgemail is disseminated to the parent body and faculty through email. Bridgemail is a key source of information including a calendar section containing upcoming important dates, and an announcement section containing small informational blurbs about upcoming events, special classroom requests and School news. Bridgemail is limited to student and school related information and events only. Cell Phones: We have asked that our faculty and staff refrain from text messaging with parents. Conferences: In addition to the scheduled parent/teacher conferences (see Parent/Teacher Conference section below), a parent, teacher or administrator may ask to schedule a conference at any time. To schedule this conference, call the School or send a note with your child requesting a conference time. Email: Email is a communication method used by faculty members. Early in the year, parents will receive a list of faculty email addresses. Teachers will check their emails once a day and will reply within 24 hours, Monday – Friday. Email is also used for notices, announcements, and general communication between faculty and staff and parents. Announcements are limited to school related events and notices only. In addition, the BFA may also send school related information, announcements, requests for volunteers, etc. via parent emails. Please keep us updated with your email address while enrolled at our School. Parent Notice Box Folders: Each student has a hanging folder labeled with his or her name and stored in a classroom color-coded file box. These boxes are accessible at pickup, and parents and/or caregivers should check them daily. Faculty use these to circulate classroom or/and all school announcements, permission slips, volunteer requests, etc. Folders may also be used for distributing students’ work, Scholastic Book orders, pizza order forms, and local community programs for children (nonprofit and for profit), and for parents to distribute birthday invitations and/or thank you notes. Parent Observations: Parents are always welcome to visit the school at any time, and we encourage parents to observe a class in session. You may schedule an observation time with your child’s teachers. Phone Calls: Parents are encouraged to call the School whenever they have a question, observation or concern. Please leave a message for your child’s teacher, including convenient times for a return call. The Head of School and/or Education Directors are also available to field calls when appropriate. 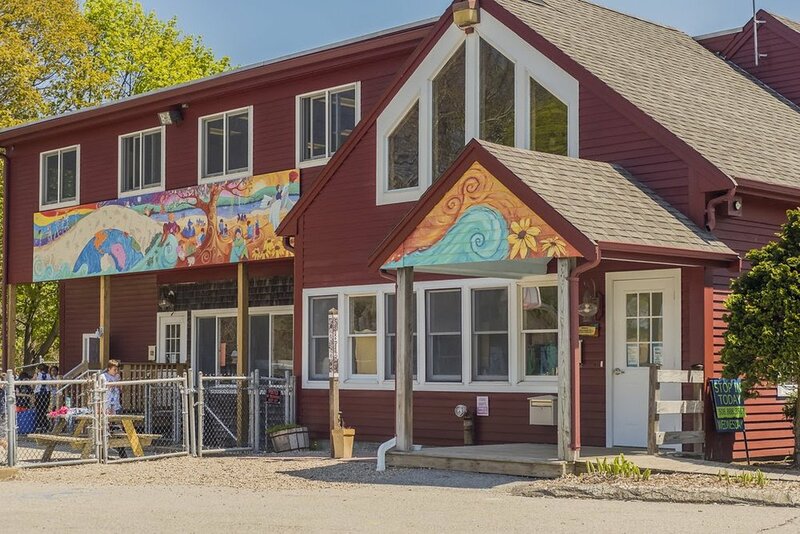 Social Media: Visit our Bridgeview Montessori School Facebook page to see inside our school. Although we encourage parents to check us out on Facebook, we do not encourage our faculty and staff to “friend” parents. Thanks for your understanding. Staff and Faculty Mailboxes: Parents may communicate with staff and faculty by putting notes in their mailboxes. Each child entering one of our programs will be invited with their family on a tour of the School, including bathroom areas. This will occur before the start of school. If a child is transitioning into one of our programs from a different school, Bridgeview Montessori School will request records and information from the other program with the parents’ permission. Parents will be encouraged to schedule a transition meeting with the teachers to plan for the transition ahead of time. When appropriate, the child may be included in the meetings to show collaboration between teachers and family. When a child transitions from one classroom to another or between programs (CH to Elementary, Elementary I to Elementary II) teachers will meet for information sharing and collaboration on behalf of students. Each child will be personally assisted by the teachers in a developmentally appropriate way to ensure the best possible scenario for a transition out of a program. This may be done through: one-to-one conversations between teacher and child about transition feelings, facilitating possible visits to the new classroom beforehand (i.e. programs within the same building), and opportunities for the child to talk at circle time with peers about the transition to say goodbye, and for the group to share a goodbye with the child/children. School closings and/or delay announcements will be broadcast on Boston TV channel 7, and can also be found on the following websites: www.wcvb.com/weather/closings, www.whdh.com/weather, and www.necn.com/weather/school-closings/. In addition, the School telephone will contain a message as to whether school will have a delayed opening, close early, or be closed for the day (occasionally, due to heavy call volume, it may be necessary for you to call more than once to get through to the answering machine). We will also make every effort to email all families as to whether or not the school will be open or if there will be a delayed opening. We are not obligated to make up school days cancelled. Documentation and communication of concerns with parents, teacher team, ED and Head of School. Meetings with parents to discuss plans for success. Referrals for appropriate evaluation and services. Upon completion of evaluation(s), school will receive report(s) with the intention to learn how to best support the student. As needed, staff opportunities for supportive services in order to support the student. Development and implementation of behavior intervention plan for home and program. Appropriate follow up with parents, teacher team, ED and Head of School. follow school procedures and policies related to attendance, punctuality, drop-off, pick-up, school conferences, Before Care and After Care. find positive ways to communicate with the staff and administration regarding questions or concerns about school programs. engage in conversations initiated by the school related to questions and concerns. represent the School in a positive manner to the community at large. seek professional help in assisting with their child who is aggressive and a potential threat to the safety and well being of himself/herself and/or others.